The other day, one of my good friends mentioned that he’d made this, and it made me realize how much I too love the stuff. It’s been lingering in my mind now for a few days… Salty, savory, full of unique and sensory pleasing flavors and aromas. It’s a condiment I’d like to see come back full circle in ‘trendy’ cuisine. There is just so much you can do with it, and so much variety you can add. I learned this basic version while working in Cambridge (just outside Boston for those of you not familiar with New England) and have added a few touches of my own. The base is, and by definition has to be, olives. After than, the field is open. Piquant flavors are the natural pair, and that’s exactly what I use! This is addictively delicious, works well with so many things (fish, chicken, on bread, with artichokes, etc), and is really easy to make! Place everything except the pepper and olive oil in a food processor. Puree until well broken down. With the machine running, drizzle a little bit olive oil; just enough to bring it together. Season with cracked black pepper. Tapenade is ready. 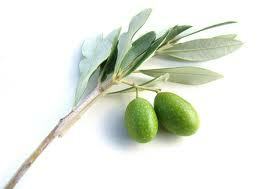 Remember, olives are cured and are therefore very salty. Additional salt is unnecessary.